Introduce some coastal warmth to your home with the Riviera Walnut Bar Stool Cream, a fantastic item that mixes contrasting materials with seamless style. Certain to add modern interest to your bar area, the Riviera is a luxurious sight to behold. The seat is stylish and sumptuous, where a cream faux leather seat pad unites with a polished walnut backrest. The rustic colours blend beautifully, creating a timeless look. 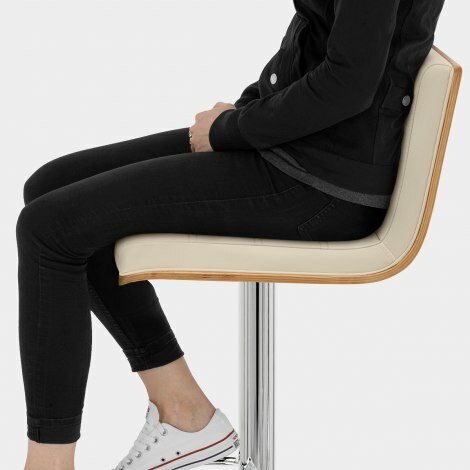 Moreover, a gas lift variable height mechanism enables you to alter the position of the seat, as does the stools ability to swivel 360 degrees. A mirrored chrome frame offers a footrest and nicely underlines the Riviera's appeal, while a rubberised guard lies below the base, helping to maintain your floors and cementing the allure of this elegant stool. "Extremely elegant, are very comfortable and look fabulous"
The Riviera stools we ordered were a perfect fit for the breakfast bar end of our kitchen island. Easy to assemble, they are very good quality for the price. They are slimline but sturdy and look fantastic. A great product. We bought one first to try and followed up with another two. This is a good quality product. Easy to assemble and we are very happy with the purchases. Great quality pedestal and chair. Bought the "tub" style but my girth did not suit. These are much better. Great product, super fast delivery! Pull up this chair and settle down! Next time I'll try to get some arm rests as well. Great value product. Very quick delivery. Very quick and easy to put together. 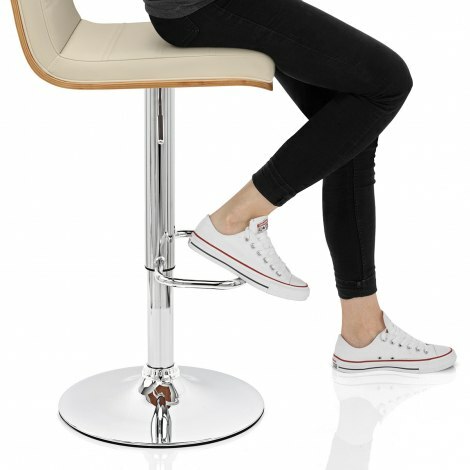 Very pleased with the stools and would definitely recommend this product! Excellent quality and stylish product. I would highly recommend shopping at Atlantic for both the service and product.